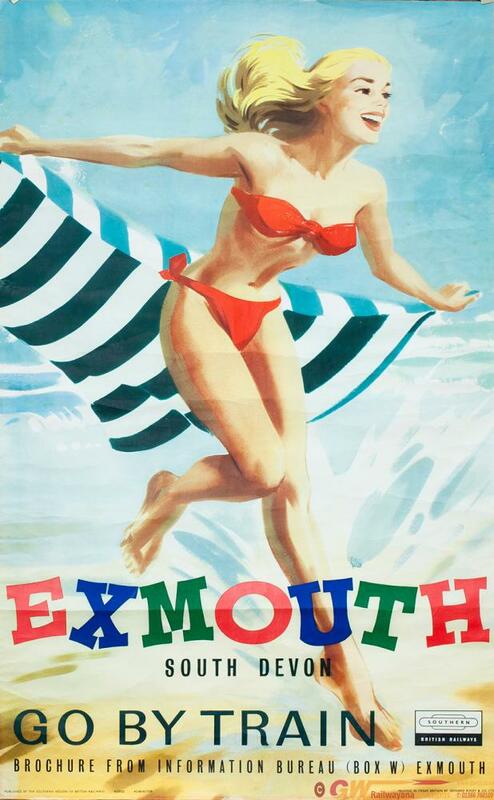 Poster BR EXMOUTH SOUTH DEVON GO BY TRAIN. Double Royal 25in x 40in. Published by the Southern Region of British Railways and printed by Leonard Ripley. Some creasing but in good overall condition.